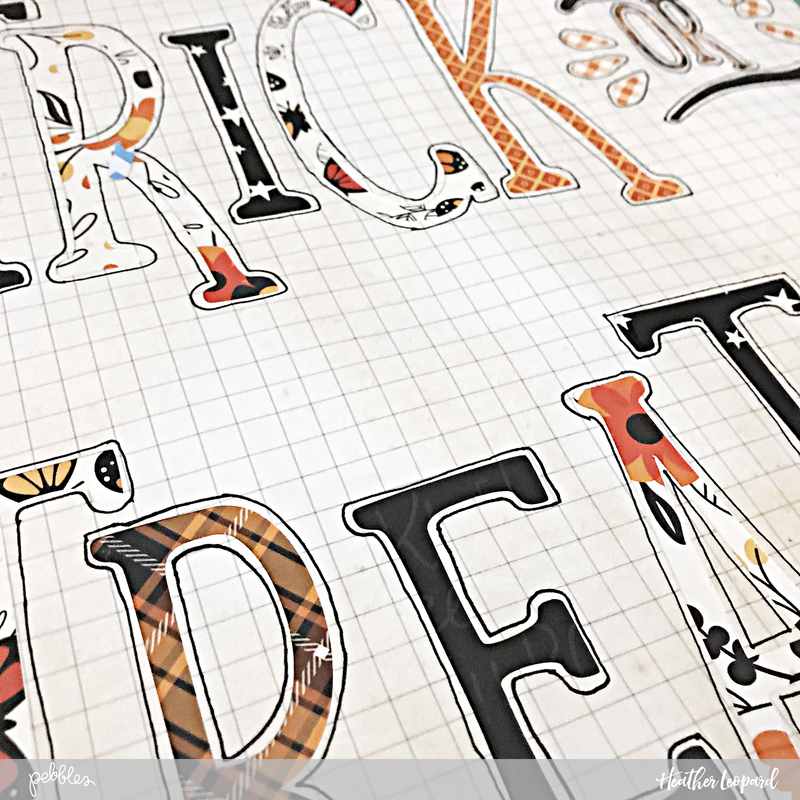 October 2017 - Pebbles, Inc. 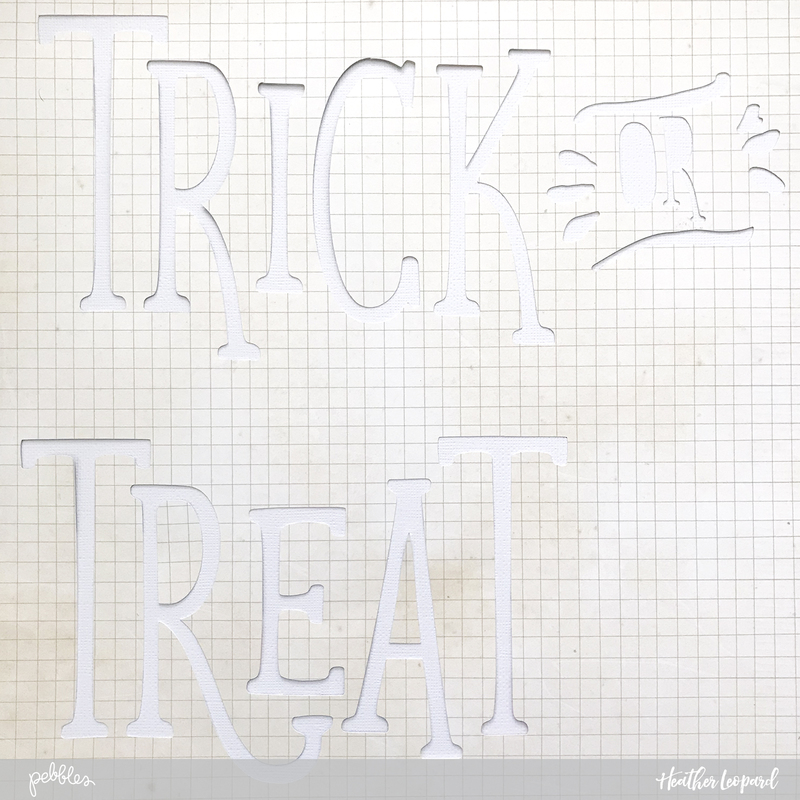 Happy Halloween, everyone! 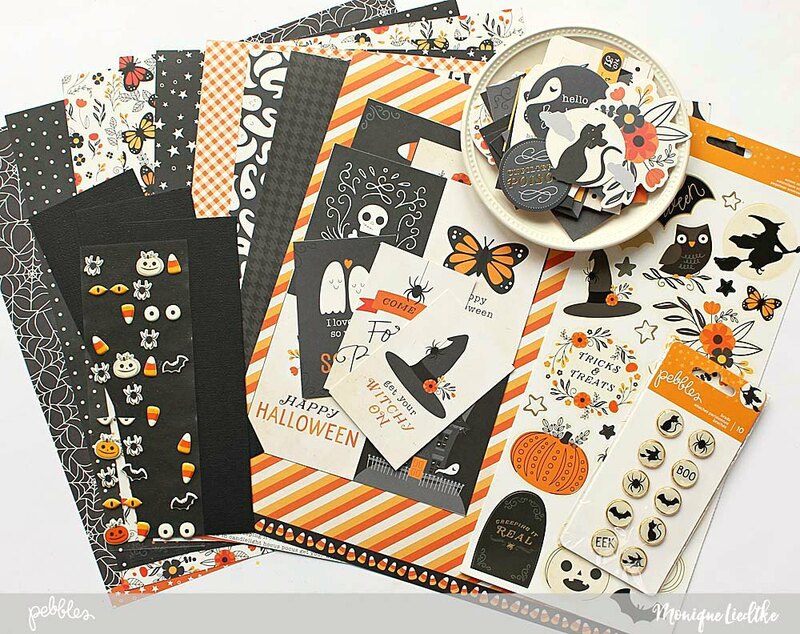 Heather Leopard is here with a spooktacular Trick or Treat scrapbooking layout today. My daughter has been wearing her Halloween costume every day since we got it a few weeks ago. She asked if she could try out the bow and arrow so we headed out to the yard and what do you know? This toy set actually worked. I grabbed my camera real quick and took a few action shots. I just loved this one where she looked up at me so I had to scrap it. 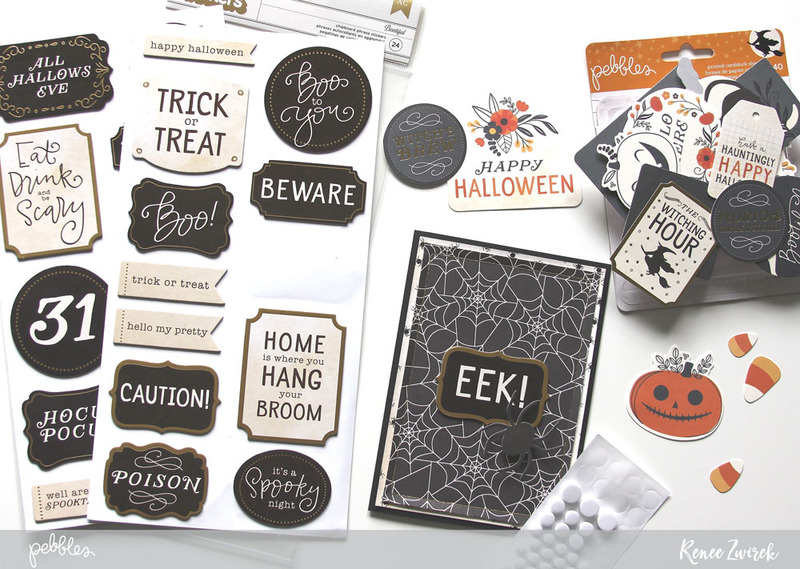 Gather your favorite Midnight Haunting ot combination of Halloween supplies. 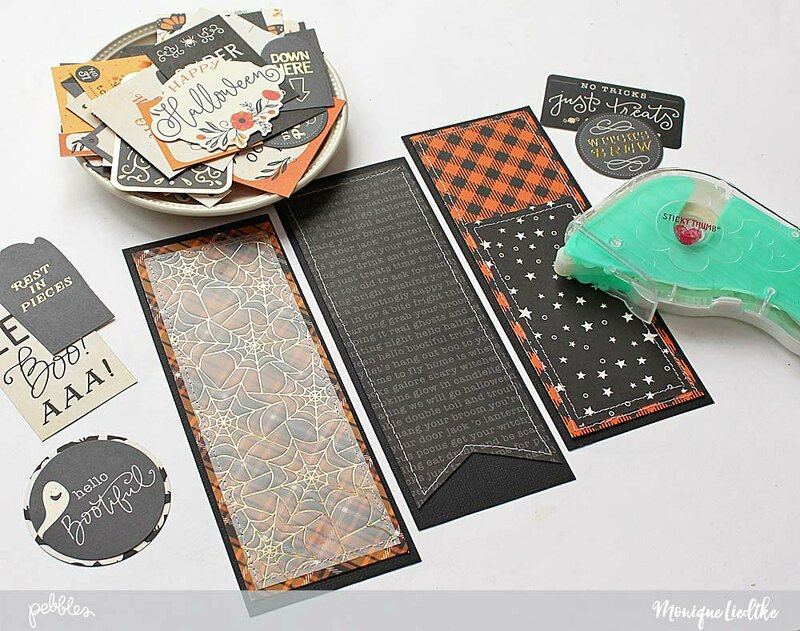 I used at least 6 different patterned papers, maybe even more, plus stickers and my electronic die cutting machine. 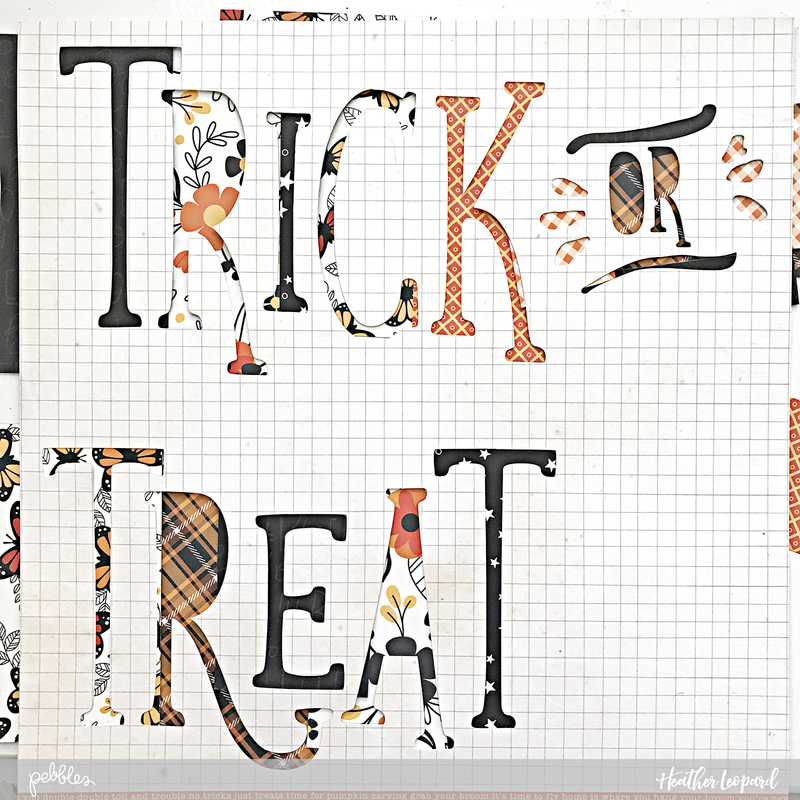 Make a super-sized Trick or Treat statement using your favorite font, or download one from your cutting machine’s store, like I did. 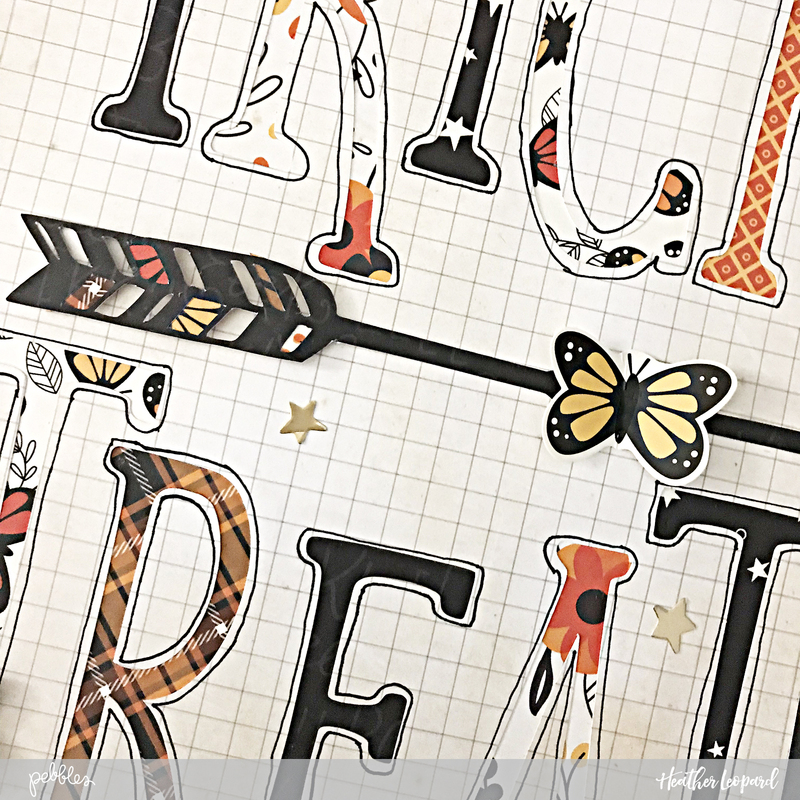 Design the page in the die cut software to make sure everything fits just right and then you can do one of two things…..1, cut the letters from the background paper or 2, cut each letter from your patterned paper of choice. I chose option 1. After choosing option 1, I hand cut papers to add to the back of the page, shifting them around until I felt the patterns were evenly distributed. You can see that I just have them placed under each letter. I’ll trim them up as I adhere them to the back of the paper. I wanted the words to POP so I traced around each of the letters and what a difference that made! Since I was doing a Halloween layout about my Archer Girl, I added a fun arrow-like design to the page, where there was a big open gap. It filled the space perfectly and really tied the photo better to the page. The arrow I selected had openings in the feather tips so I added a couple of patterns there too. Next, I added my photo and embellishments, placing a few butterflies and stars scattered here and there. So, this Halloween, will you ask her for an archery trick or give her a treat? 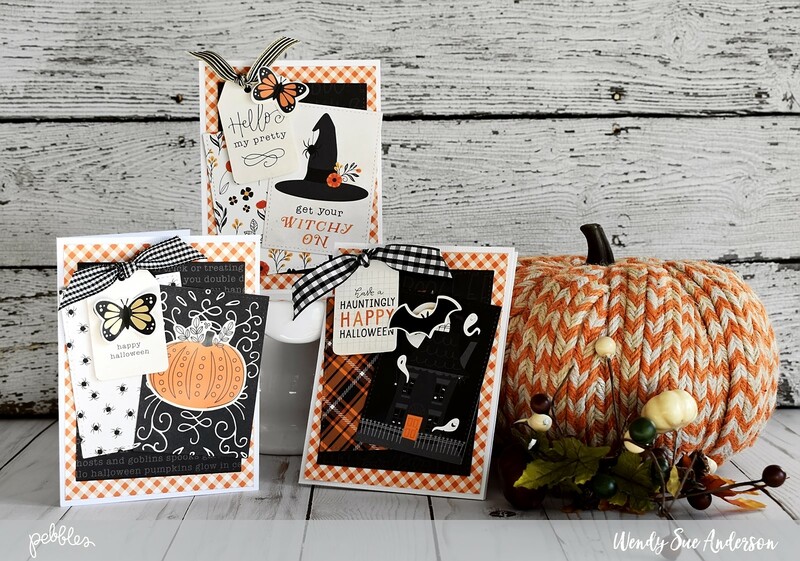 Hi, Renee here again with a few more Happy Halloween Cards using the Midnight Haunting collection. These cards are quick and simple to create if you are in a hurry to give cards to teachers, friends, or family. 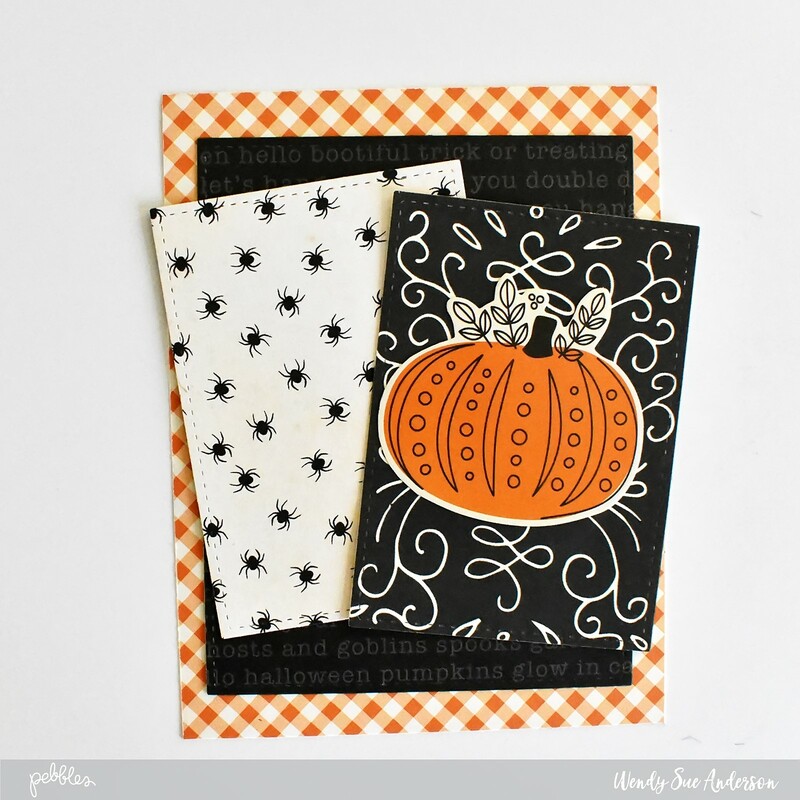 All three cards are a standard A6 in size which measure 4 ½” x 6 ¼”. 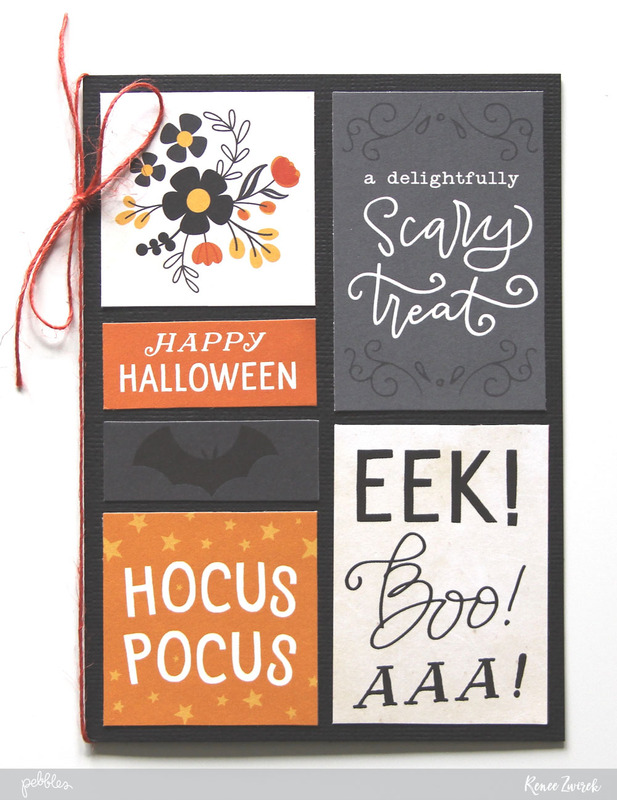 I cut-up the Hocus Pocus pattern paper and added a few of my favorite pieces to the front of this card. 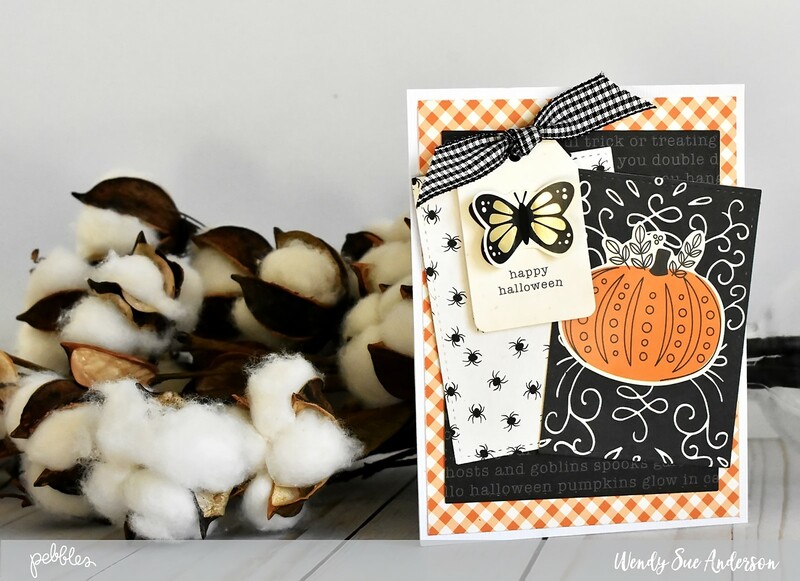 I added orange Hemp Twine for the finishing touch to this Happy Halloween card. 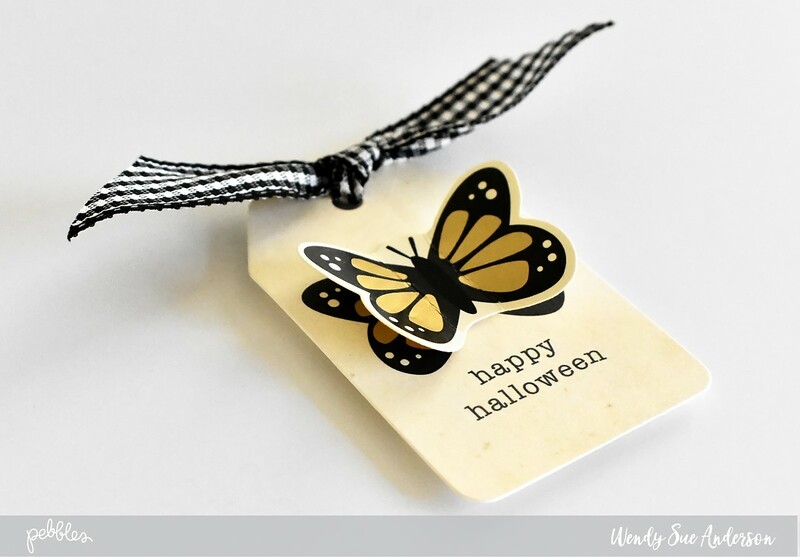 Quick and simple to make and I love looking at the different fonts and sayings and décor. 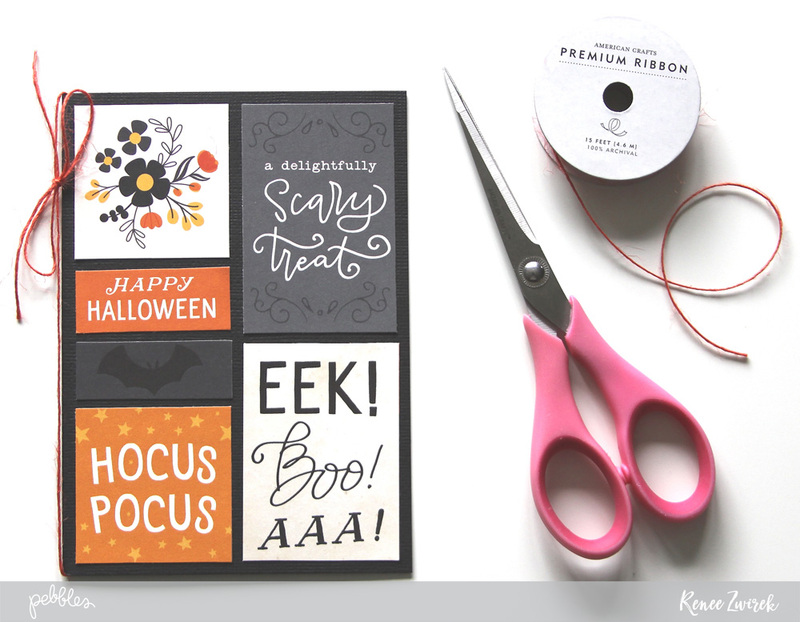 After layering both sides of the Creepy Crawly pattern papers, I added the “EEK!” Bootiful Thickers Sticker to the center of the card. 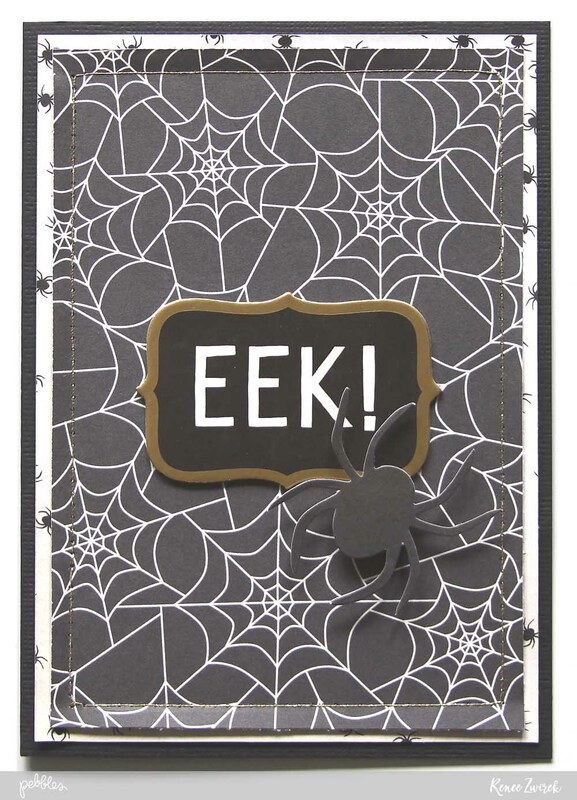 A spider die-cut crawling along the spider web finishes off this card. 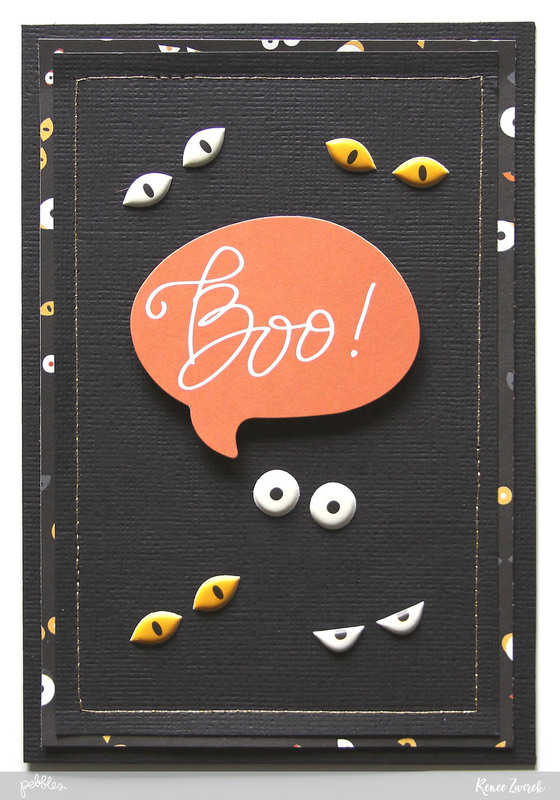 My favorite of the three Happy Halloween cards is this “Boo!” card. 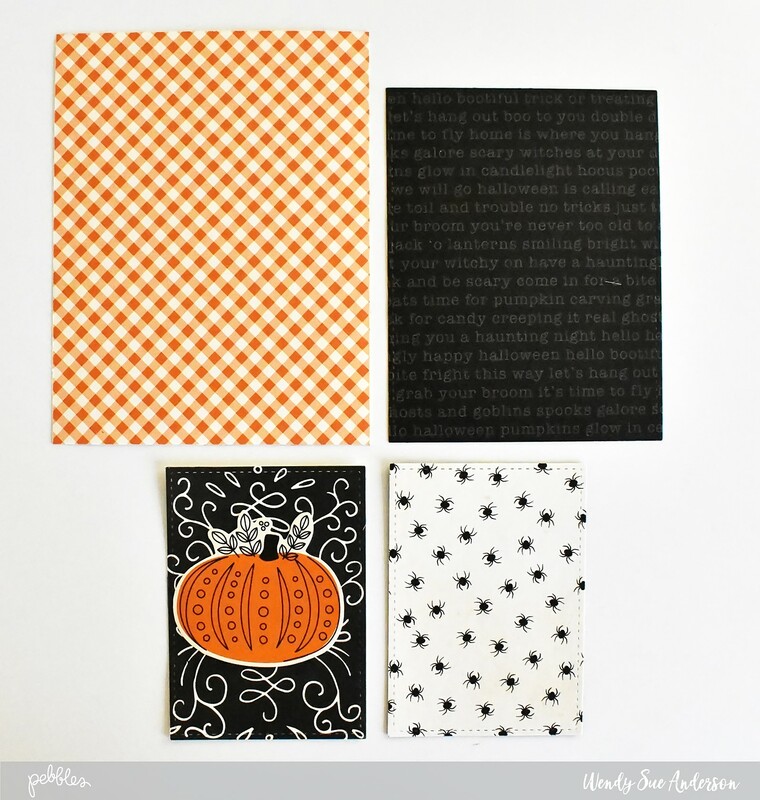 I layered the Eyes On You pattern paper with the black cardstock. The Mini Puffy Sticker eyes are the best! 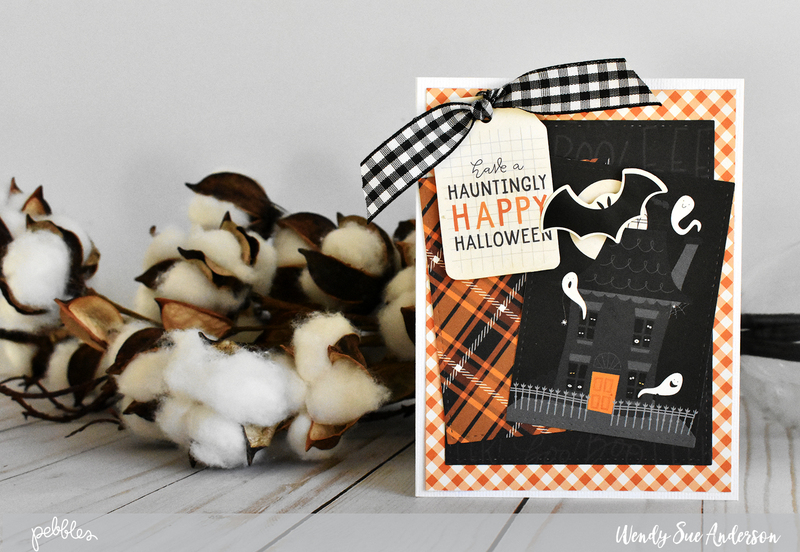 This was such a fun card to make! 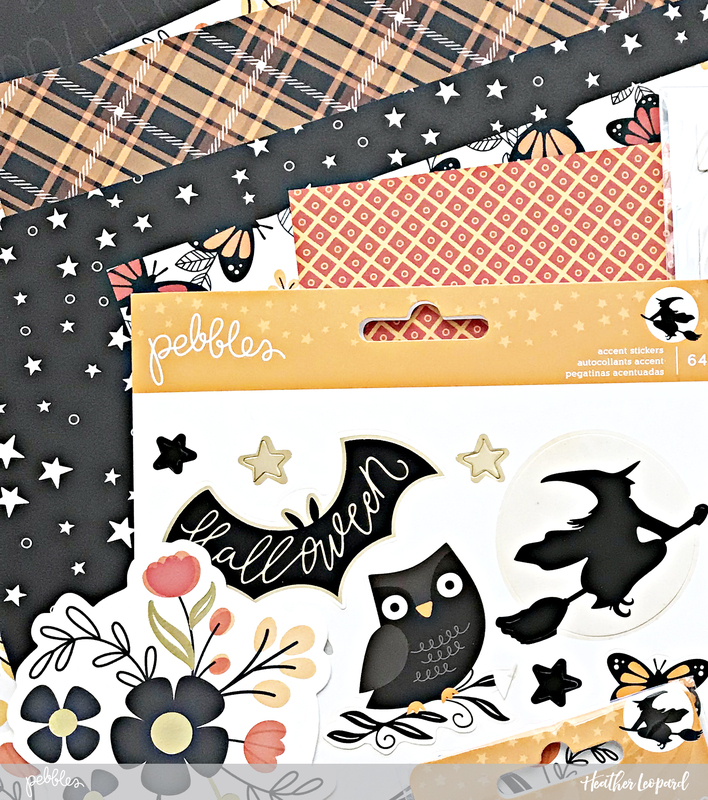 Thanks for stopping by the Pebbles blog today! 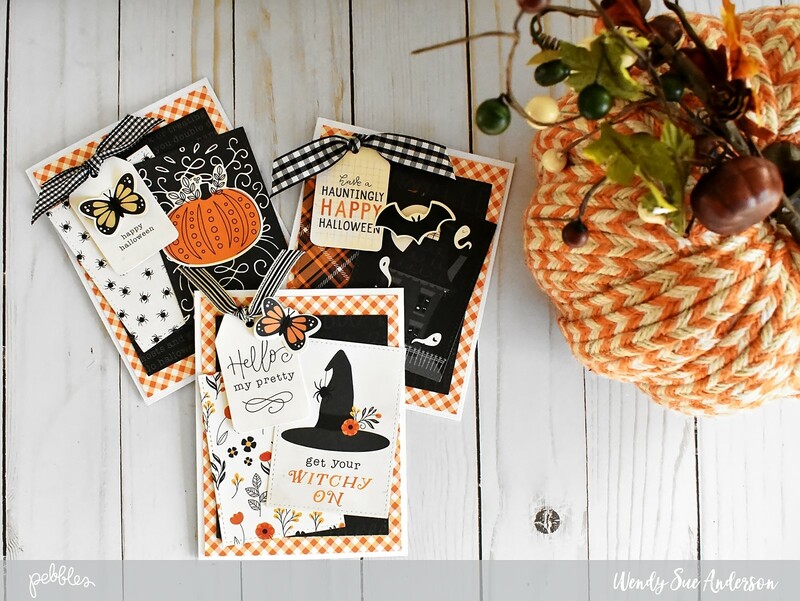 For more Halloween card ideas, check out my Bootiful Halloween cards and Leanne’s Midnight Haunting cards. 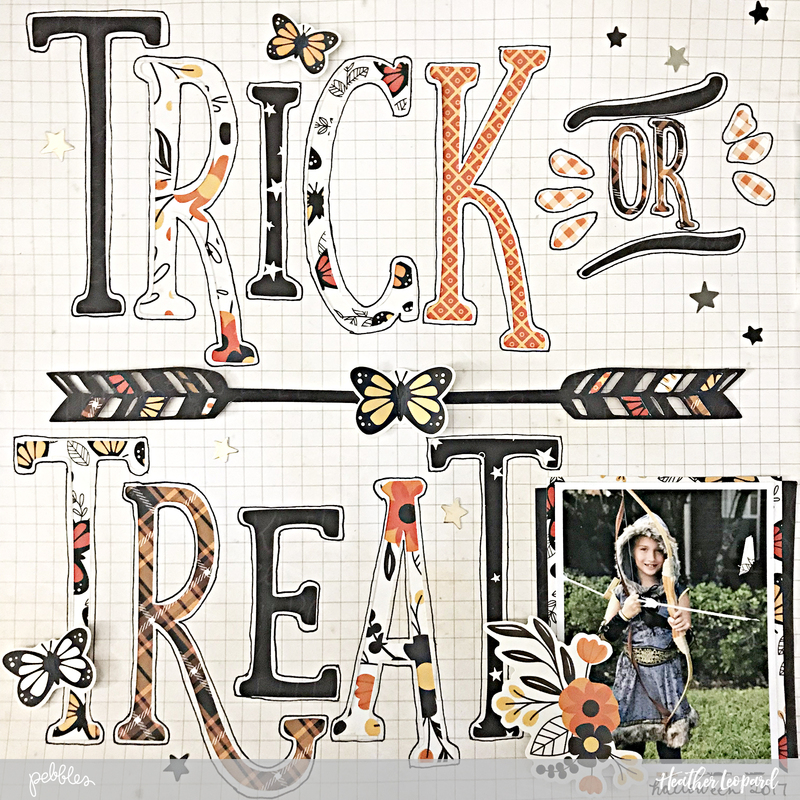 Have a fun and safe and Happy Halloween! Hi Pebbles buddies! 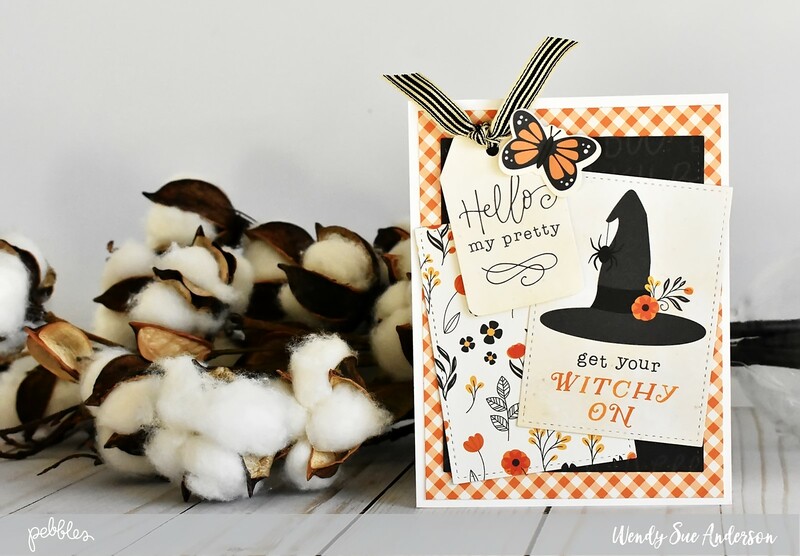 It’s Wendy Sue here again, sharing some fun Halloween cards with you! 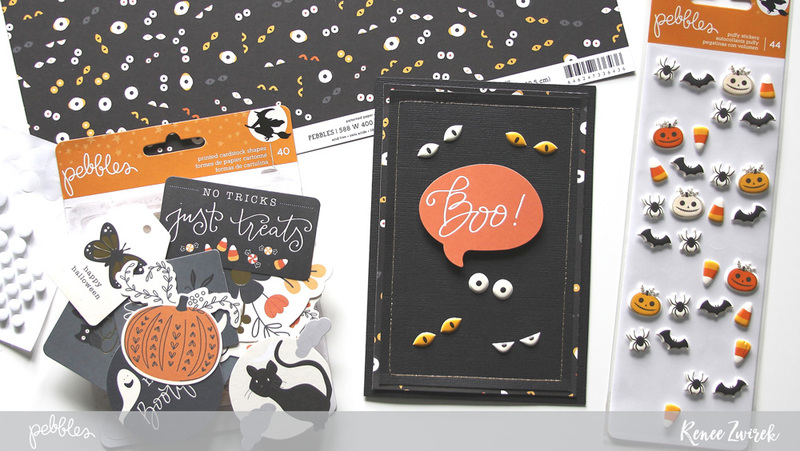 I just can’t get enough of this year’s amazing Halloween collection, so I’m trying to use up every last bit of it. 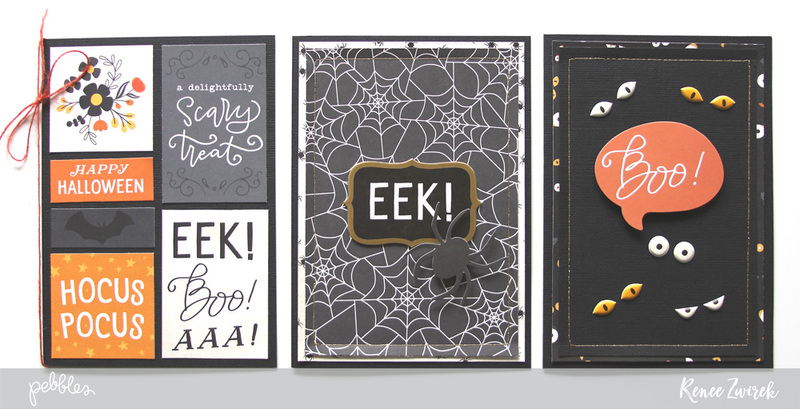 I thought I’d put together some pretty Halloween cards for some neighbors. 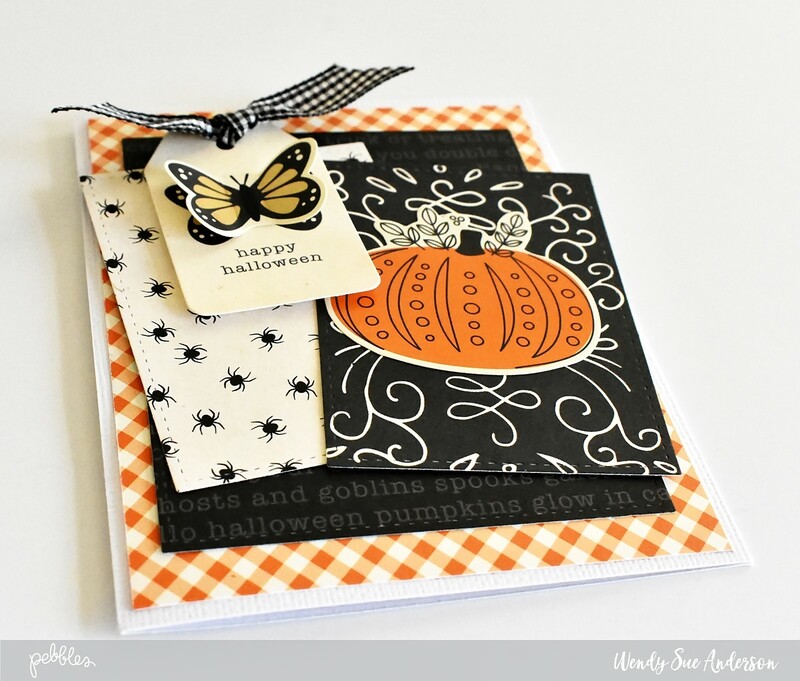 These cards are quick and easy to whip up in only six steps! Take a peek, then keep reading to see how easy they are! Start with a few simple rectangles. One for the base, one slightly smaller, then two more that are approximately 3″ x 4″ in size. Now just stack them up and glue them down! For as many times as you want – it gets easier and faster every time! 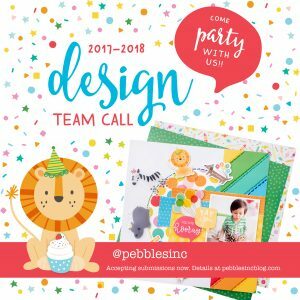 Pebbles Design Team Call for 2017-2018! Are you the ultimate fan of our Pebbles products? If so, we’d love to hear from you! We are accepting applications for the 2017/2018 design team from now until November 15th (please send them to pbsocial@americancrafts.com by midnight). We’ll take a few days after that to go through each application and choose 6 team members to start design work by the 1st of December! You may see some familiar faces in the end or all new ones—we aren’t sure yet! Either way, we can’t wait to see what you send our way! So…what should you include in your application? A favorite photo of yourself! What will you be expected to do as a member of our social media team? Be a loyal brand defender for Pebbles Inc.
That should do it! We will notify you by the 22nd if you are on the team and will make the official announcement on the 30th! Best of luck to you all—we can’t wait to see your submissions! 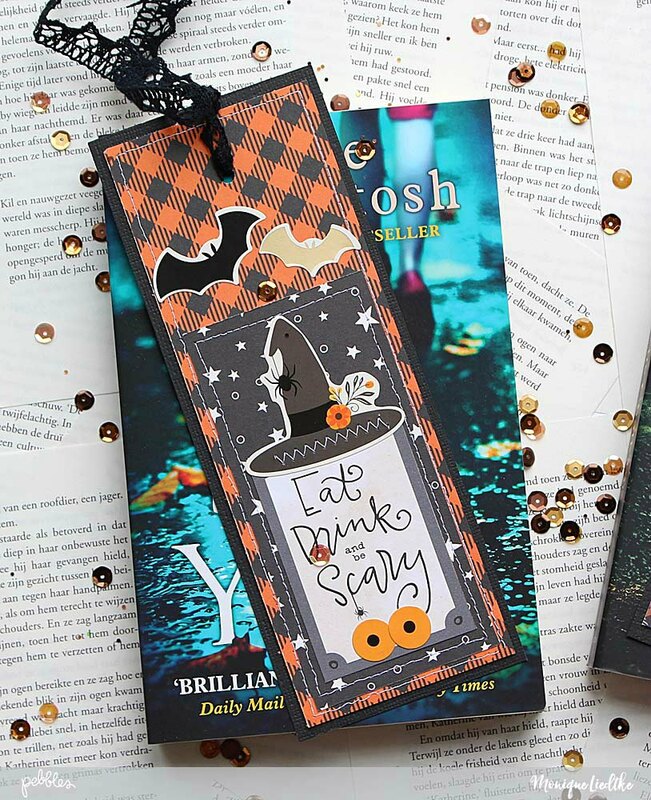 It’s so fun to use the Midnight Haunting collection with it’s many (puffy) stickers and die-cuts of owls, ghosts and bats to create scary & spooky bookmarks. 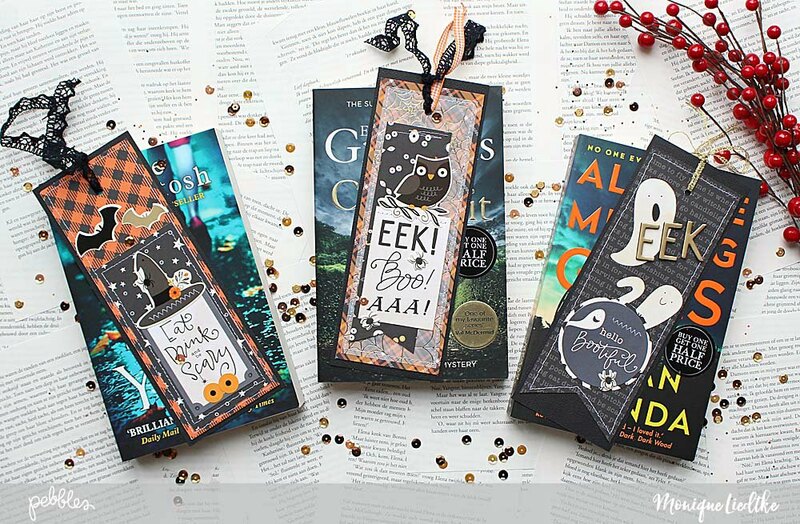 Bookmarks can’t be too bulky otherwise they damage your book, but in this collection there are so many embellishments that are just perfect for creating (flat) bookmarks! 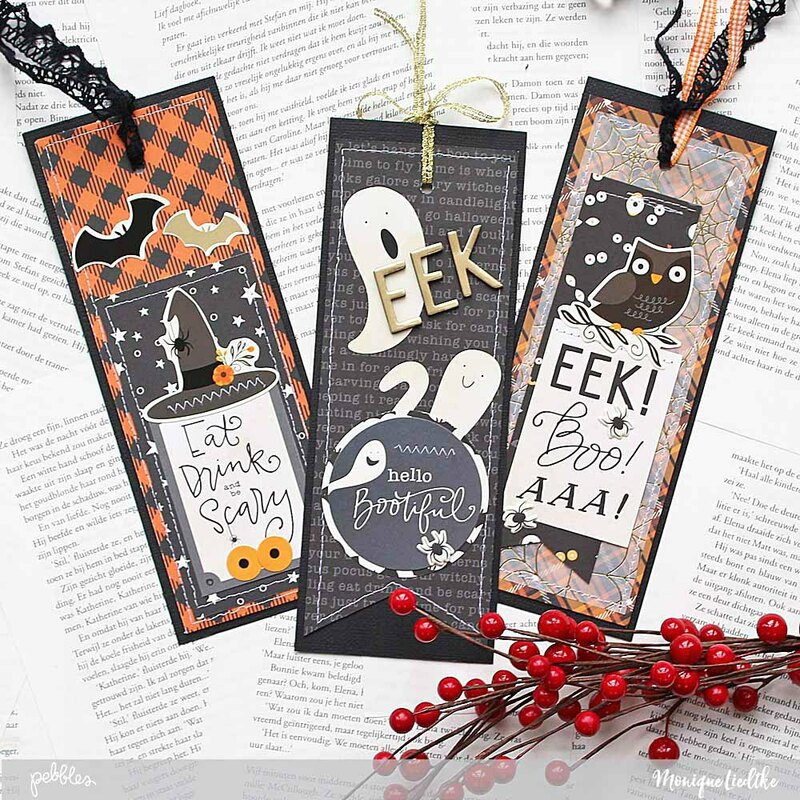 I started the bookmarks by cutting 3 strips of black cardstock (3″x 8″) and choosing some patterned papers I wanted to use. 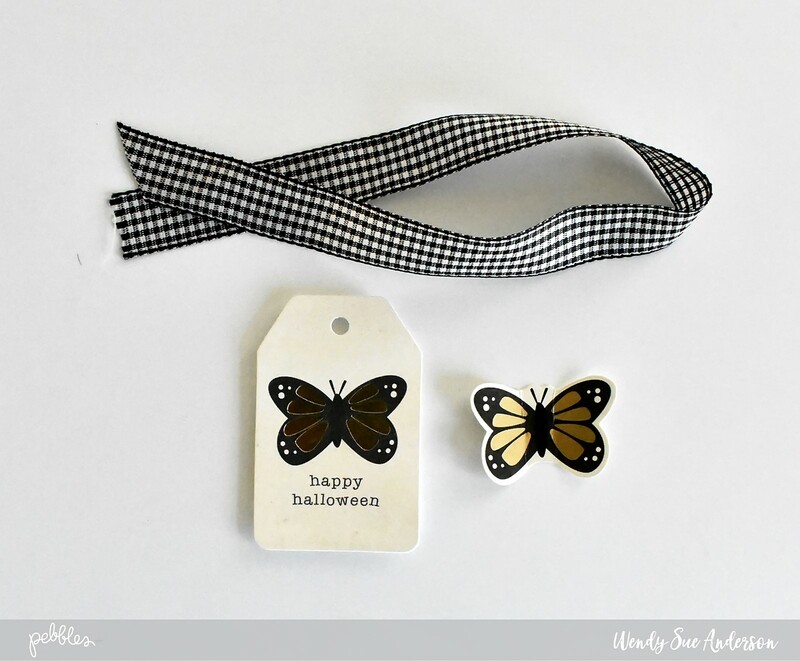 If you want to create really quick gifts you don’t have to stitch the sides of the patterned papers, but I just have to add sewing to my projects otherwise they don’t feel complete. If you do decide to use your sewing machine make sure you do this before glueing the patterned papers to the cardstock background. Next I added the embellishments, stitched a bit more and glued the papers to the black cardstock and added a few ribbons. 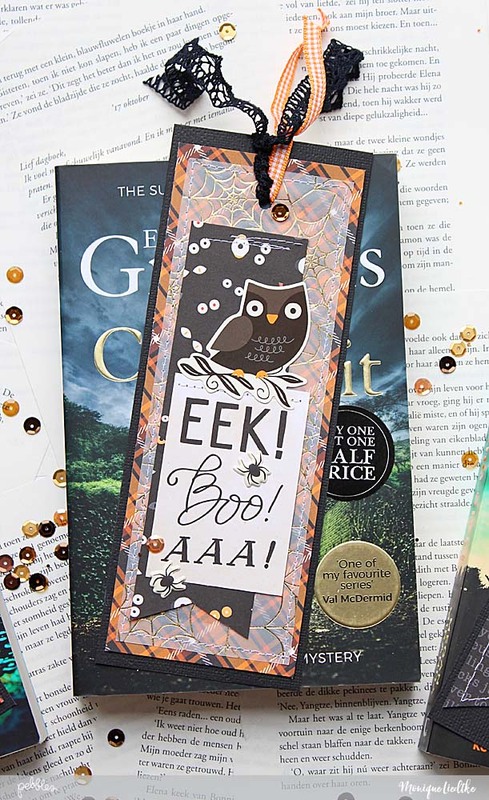 My daughter, who’s also a huge book lover, already claimed one of the bookmarks and to be honest I would really like to keep one too, but that would mean that I would have only one left to give away …. I suppose I’d better start making more of them as they are really quick to create and I’ve got so many book loving friends! 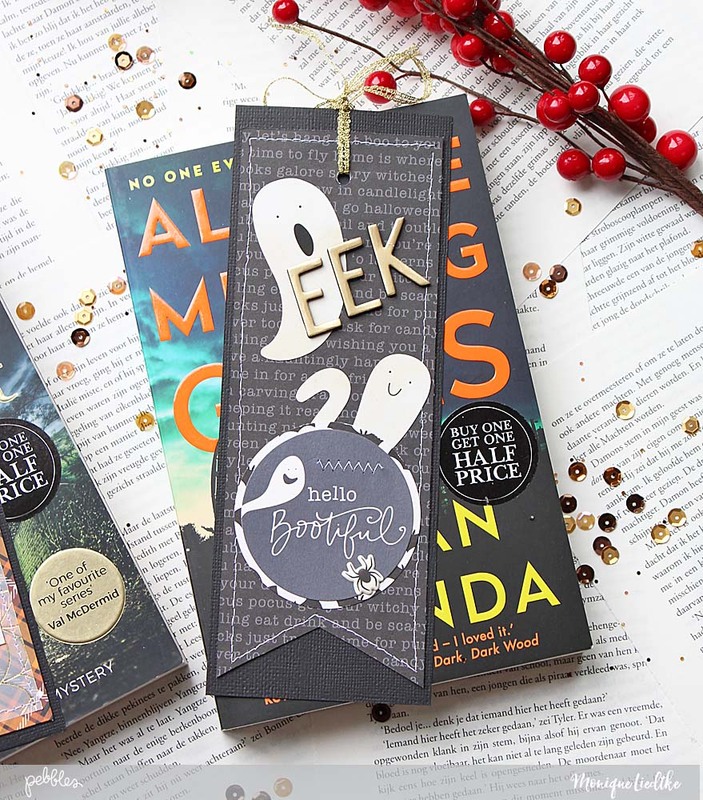 Thank you so much for stopping by our blog to have a quick look at my quick gift! 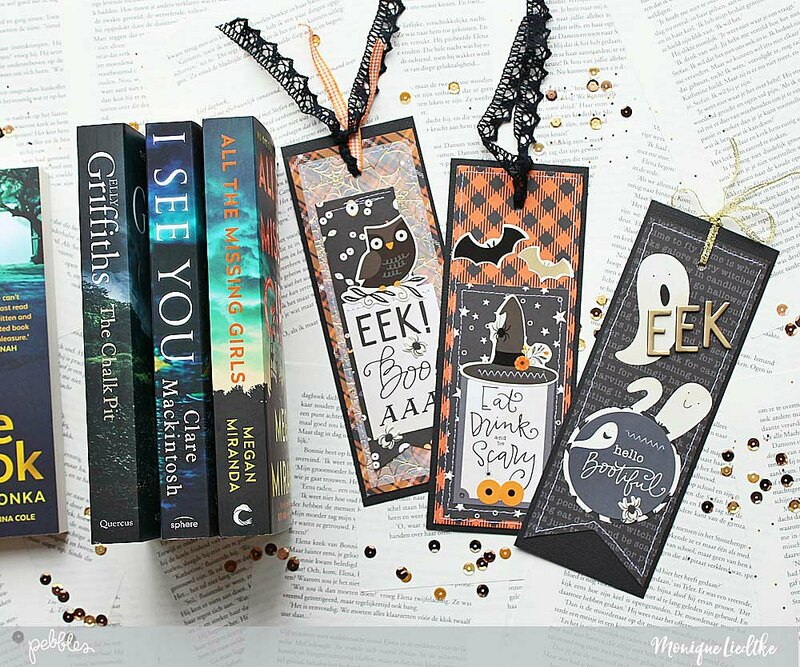 I hope I inspired you to create a few quick bookmarks of your own!